Vaping has disrupted Big Tobacco .2018 saw the tobacco industry take a huge $127 billion USD hit. British American Tobacco lost half its stock market value. Altria and Philip Morris lost around 30 percent. Imperial Brands lost around a quarter, and Japan Tobacco lost around 20 percent. Big Tobacco’s profits have been rocked by the growing popularity of e-cigarettes . It comes as no surprise that tobacco companies opposed e cigarettes at first, and some continue to do so to this day. The market’s sudden recognition that the cigarette industry seems to be in serious trouble, disrupted by the rise of vaping. While the tobacco companies can get into the vaping business, their own vape pens tend to be money losers. Formerly ‘Steam Tea and Vape’ in Mapperley, Nottingham, and now ‘The Manabush Vape Café’ suffered a burglary on 27/1/19 at 3.21am. Criminals broke in through the main window, and made off with a load of stock. Some of this isn’t available in many places and your help would be appreciated if you see it for sale or know anything about the incident. The Manabush Vape Café offers visitors a chilled Vape lounge atmosphere, serving a selection of coffee, tea and cold drinks, with comfortable seating. It sells various juice and hardware lines including all the Manabush range, El Diablo, The Druids Brew, Cotswold Vapour, Twelve Monkeys, Indigéne Eliquid, Vapresso, Aspire and many others. 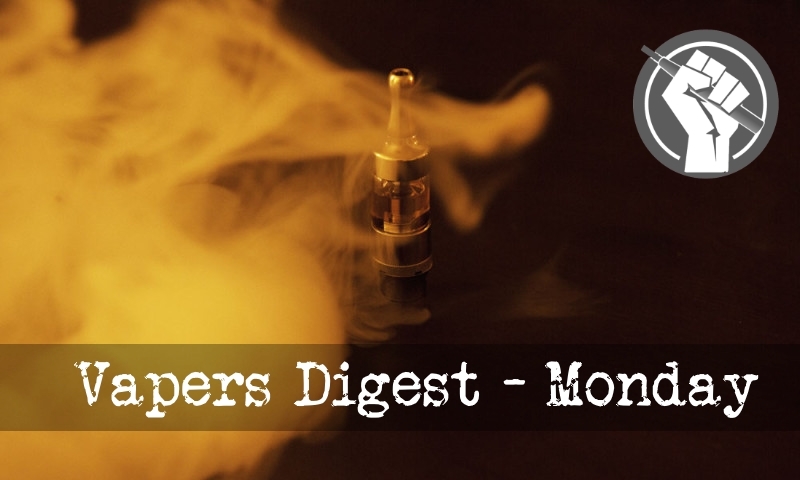 Norwegian academics Rikke Tokle and Willy Pedersen have looked at vaping to assess “user motives, self-identity as vapers and involvement in vaping subcultures.” They claim to have identified two groups, “cloud chasers” and “substitutes”, and think that most of us are “politically engaged in improving vaping regulation regimes”. A report from the Australian Poisons Centres has confirmed that accidental ingestion of nicotine e-liquid is extremely rare and is usually mild and self-limiting. The findings support the case for legalising and regulating nicotine for vaping as a safer alternative to smoking. The study in the Medical Journal of Australia today reported on 202 calls to Australian Poisons Centres for e-cigarette and e-liquid exposure over an 8-year period from 2009-2016. Calls increased as vaping became more popular, but still only represented 0.015% of all calls received. That is less than one in five thousand calls. The Surgeon General wants everyone to nod in agreement on some things. While some of you may, some of you may want to turn your head – as I’ll be taking a different approach for this blog. Let the record show, I’m being nice. Hampton “Hoppy” Henton doesn’t smoke, but he’s someone who clearly has nicotine in his blood. Both his father and grandfather grew tobacco on the same Kentucky land he now farms at age 70. His children, though, likely won’t follow in his footsteps, Henton said, and it’s easy to see why. Undercut by serious health warnings, the number of tobacco acres harvested in the U.S. has fallen from 2 million in the 1930s to 302,000 in 2018, lower than in 1866, the year after the Civil War ended. The Chatham-Kent Public Health Unit has fined seven students for vaping on school properties. The new Smoke-Free Ontario Act prohibits vaping on school properties and 20 metres surrounding a school. Vaping in enclosed spaces, such as a school bus, is also not allowed. Jeff Moco, health educator with the unit, said the seven tickets were some of the first given out under the new act, which also covers using cannabis. A north Alabama city has voted to ban the smoking of electronic cigarettes, also known as vaping, in public places such as restaurants and bars. The Decatur Daily reports that the Decatur City Council voted 4-1 to add e-cigarettes to the city’s smoking ordinance. The president of the San Francisco Port Commission, which operates the historic property that Juul rents, has directed commission staff to urge the mayor and the Board of Supervisors to consider new city policies that would prohibit companies like Juul — and potentially companies in the tobacco, firearms and alcohol business — from occupying city property. Gov. Charlie Baker is proposing more taxes in his $42.7 billion budget for the next fiscal year, filing with it a comprehensive plan to update the education funding formula. In addition to the .2 percent increase on excise tax through property sales, Baker is proposing a 15 percent tax on gross receipts of opioids and an expansion of the cigarette excise tax to include e-cigarettes, which is expected to bring in $6 million. Reports from the European Court of Justice (ECJ) where the EU’s ban on snus was being challenged were not just disappointing, but also quite astonishing! A number of tweets from Gerry Stimson, who was attending on behalf of the NNA, described how a succession of of bureaucrats outed themselves as being in denial about the evidence base behind snus and willing to blatantly lie to the court about it…. An FDA panel voted yesterday to reject more than a million pages of evidence and dismiss Philip Morris International’s claim that their iQOS heated tobacco product is a safer alternative to tobacco. While that doesn’t write off hopes of the device being certified as a Modified Risk Tobacco Product, it’s certainly a blow to the company’s hopes.